Member of the public, Andrew Collins, wrote to Art Detective to request further information on the artist Edgar Downs. 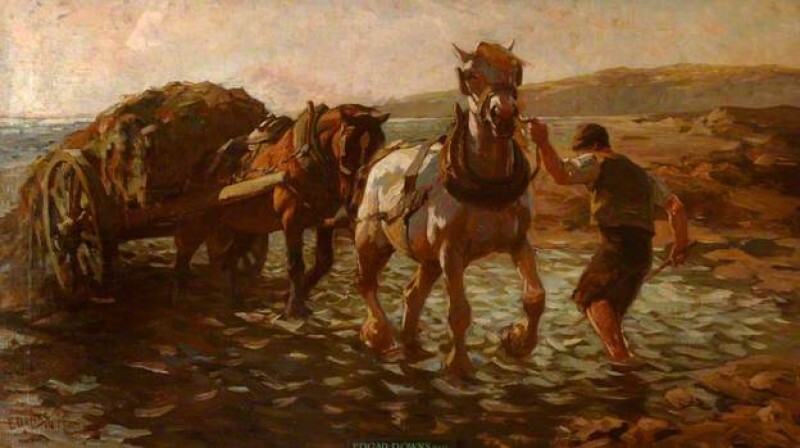 Andrew was particularly interested in finding out more about Downs’ work during the First World War and Fordingbridge Town Council, who own the painting, were also intrigued. The first comment from Tim Williams described the artist as an animal painter, born in Birkenhead and a member of the Chelsea Arts Club and London Sketch club. Impressively Paul Kettlewell attached a couple of pages from his war records, showing Downs spent time in Egypt and was an artist during this time.